New Delhi, August 24: On Wednesday the Muslim Community celebrated Eid-al-Adha where millions of goats were sacrificed as a ritual among them. But some of the Muslims adopted a different way to celebrate the Eid and with a tag of eco-friendly Eid without harming any animal. This gesture is very appreciable as it not only saves animals’ lives but it spreads the message of keeping the animal safe and a good example for future generations too. 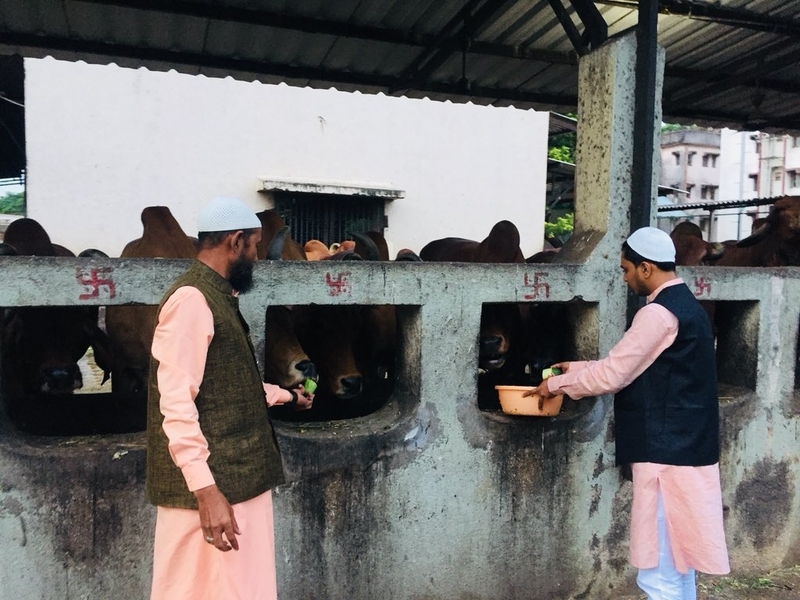 One of the biggest examples of eco-friendly Eid is the Muslims of Surat who rather than killing or sacrificing goats on the day of Eid they went to cattle for feeding the cows. Isn’t that a unique way to celebrate Eid? The following pictures are a message of true Eid celebrations to all Muslims. This year many Muslims donated their Eid budget to Kerala flood victims and celebrated Eid in a humane manner. Head of the Islamic Centre of India Maulana Khalid Rasheed Farangi had appealed to all the Muslims to Donate Eid budget for Kerala flood victims. 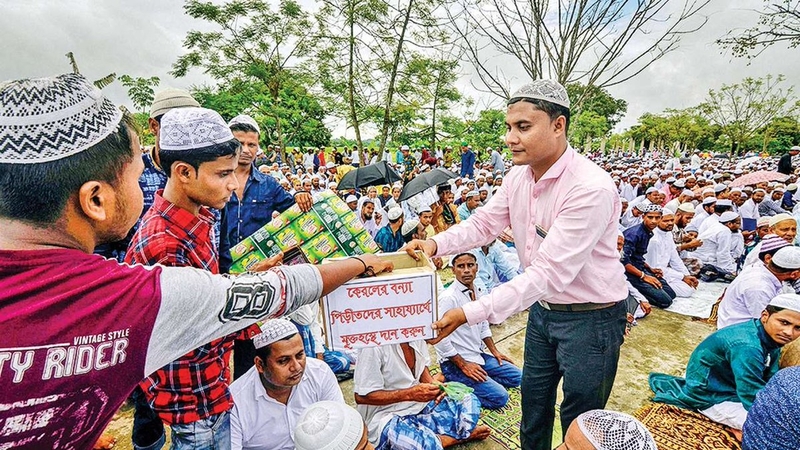 Muslim Satyashodhak Mandal – an organisation known for progressive movements – gave importance to humanity and collected nearly Rs 5 lakh for the flood-affected in Kerala from the faithful who donated the money instead of performing the ritual of qurbani (goat sacrifice) on Eid al-Adha. Eid and Swachhta were also one of the unique ways to celebrate the festival. The areas near the Jama Masjid which use to be red due to blood during the Eid in the past was neat and clean this year. The festival was celebrated peacefully keeping Swachhta along with them. 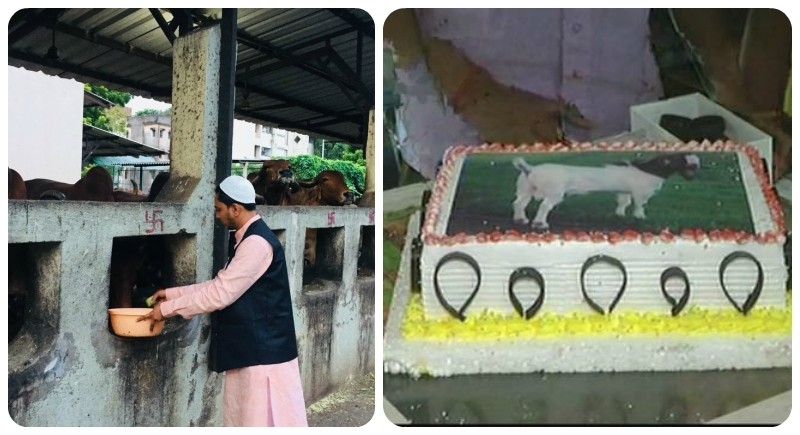 In Lucknow we saw many Muslims rather than cutting the goats they opted for cutting the goat shaped cake. With this their ritual and environment both were balanced. It was very viral about the goats made up of mud. And also various goats shaped cauliflower, cakes etc.